Two sisters and Young Farmers from Wiltshire are putting their entrepreneurship skills to the test - by setting up their own business. For 50 years, the Padfield family have been pig farmers in the Wiltshire village of Seend, supplying pork products to restaurants and pubs throughout the county and beyond. Now, Sammy and Becky Padfield, of Devizes YFC, have helped the family business and set up their own farm shop – The Pantry. 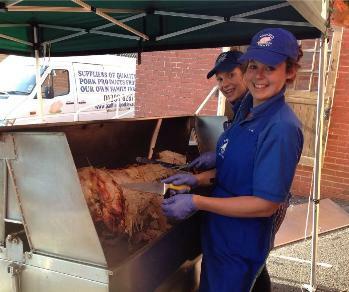 Based in Marlborough, and still providing the same top quality meat, the Pantry will be a natural extension to the family business and one which enables the family to continue the business into the third generation. In addition to being a shop, the Pantry will also provide a takeaway service. A full carvery service will also be available, with dining facilities in the shop and upstairs. Customers will choose, order and then be served at their table. There are plans to offer private dining to companies who wish to entertain clients, as well as hog roasts at The Pantry or out on site as a catering service. The conversion of the premises is in full swing, with the shop and dining areas to be finished in the next two weeks. If any YFC member wants to follow in the footsteps of the Padfield sisters and try and start their own business, NFYFC can help. Thanks to support from Defra, the Federation has teamed up with Natwest to provide a Business Start Up Training Session in Matlock, Derbyshire on 23rd March. The session is free to all YFC members. Scores of Young Farmers braved the heavy traffic and cold weather to attend this year's LAMMA show in Peterborough. One of the biggest events in the British agricultural calendar, LAMMA brings together some of the biggest names in the world of agriculture and farm machinery. 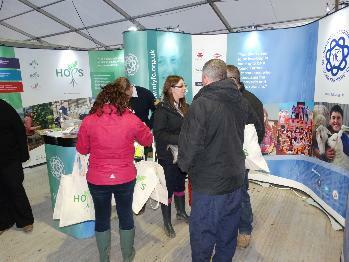 Hundreds of enthusiastic YFC members helped make up the 40,000 visitors to the annual show, along with representatives from NFYFC and HOPS Labour Solutions, who had adjoining stands at the show (pictured right). There were 900 exhibitors on display at this year's show, some of whom were renowned supporters and sponsors of the NFYFC. As a way of raising the profile of Young Farmers and thanking current sponsors, NFYFC and HOPS held an open drinks reception, which was very well attended. One of those sponsors, Tama - Farm Grown Solutions, were particularly impressed by the strong presence of Young Farmers at the show. As part of Tama's partnership with NFYFC, they were offering free baseball caps to any Young Farmer who came to their stand and took a selfie. 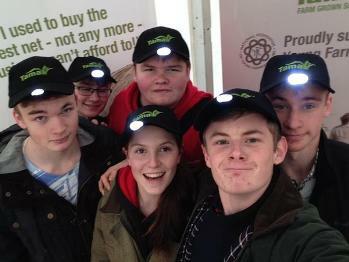 You can see all of the selfies taken at the Tama stand by visiting the NFYFC Facebook page. As many farmers face major financial struggles, a group of Young Farmers have seized the opportunity to take steps to protecting their land and their business. Thanks to support from Defra, five Young Farmers took part in NFYFC's free Tenancy Training session at the Staffordshire County Showground. 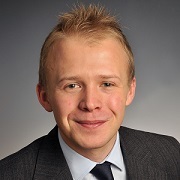 The training was delivered by James Turner, agribusiness consultant at Savills and Paul Barron, agricultural relationship manager at NatWest. Following last week's call by farm leaders to landlords to 'back off' struggling tenants, the aim of this training was to prepare Young Farmers for challenging times by teaching them about contract farming agreements, Farm Business Tenancies and Agricultural Holdings Act (AHA) tenancies. NFYFC regularly works with Savills and NatWest to deliver free training events, with professional land agents, agri-business consultants and bank managers on hand to help delegates. Young Farmers were given the chance to ask experts how to get their application noticed, how to get finance and whether there is any other support available to their business. The feedback from the training was extremely positive, with each of the delegates saying that they gained helpful information and ideas and that the day was extremely successful. For further information about this and other training available to NFYFC members, please visit our Courses page. 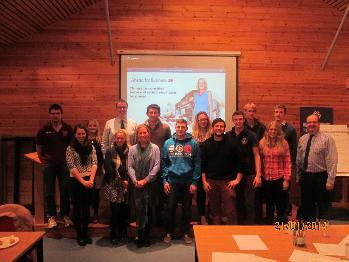 16 Young Farmers have taken a big step into the world of business, thanks to funding from Defra. 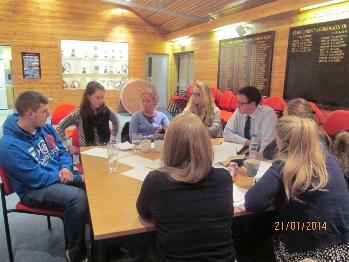 NFYFC teamed up with NatWest to deliver a free business start up training session at Whitbreads Barn in Chelmsford. The aim of the course was to provide members the opportunity to get free impartial support for their business to get them heading in the right direction. The pilot scheme was delivered by Natwest business relationship managers Mark Thomas and Peter Howe. NatWest has been supporting UK Agriculture for over 200 years and its team of over 120 specialist managers have completed a comprehensive accreditation programme to further assist and support farming businesses in both prosperous and more challenging times. "The interaction was good. Great workshops." "Very good event, good size group, interesting and useful." Following the success of this training, NFYFC will be holding this course again on 23rd March in Matlock. The training is ideal for any Young Farmer who has recently started their own business or is looking to get their business idea off the ground. For further information, or to look at other training opportunities for NFYFC members, please visit the NFYFC Courses page. 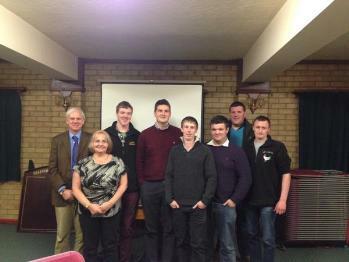 NFYFC Council Members will decide 2015’s Vice Chairs at the Federation’s Council weekend in February. 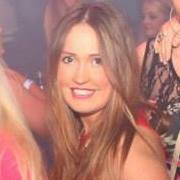 Nominations for this year’s Officers of the NFYFC Council closed this morning (Friday 16th January), with current vice chair, Hannah Talbot of Worcestershire YFC (pictured right), running unopposed as the NFYFC Chair of Council. However, three candidates have been put forward for the two vice chair posts available, meaning that the Council will have the casting vote. Current vice chair, Chris Manley (left), will run alongside David Hamer, chair of the Competitions Steering Group (centre), and Jess Townson, Northern Area YFC Chair (right). Two members of Council will put forward cases for each of the nominees at the Council weekend, culminating in a vote by the Council for the two new Vice Chairs. 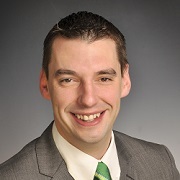 James Eckley, Chief Officer of NFYFC, said: “Following last year’s elections, where all of the nominees ran unopposed, it’s exciting to think that we will have an election for the two vice chair positions. Democracy is at the heart of our Federation and it is only right that they decide which direction the NFYFC goes. The NFYFC Council will decide the new vice chairs at their meeting on Sunday 23rd February, the day after the new Steering Group Chairs are announced. You can keep up-to-date with all of the news from the Council meeting by following @NFYFC on Twitter. The opinions of young people in agriculture are more important than ever, said delegates at this year’s Oxford Farming Conference. The National Federation of Young Farmers’ Clubs (NFYFC) was once again well represented at the Conference, thanks to sponsorship from the Worshipful Company of Farmers. Lynsey Martin, vice chairman of the Agri Steering Group, and Ed Ford, chairman of Essex YFC, attended the event, generally considered one of the biggest events in the British agricultural calendar. The annual event was attended by some of the biggest names in British agriculture and politics, including Elizabeth Truss MP, Secretary of State for Environment, Food and Rural Affairs. Lynsey managed to put forward a question to the MP, asking what her plans were for implementing policies that help young farmers and new entrants into the industry. 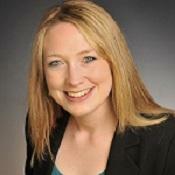 Speaking about the event, Lynsey said: “There was a lot of talk about new entrants in to agriculture. I think we should be seizing this opportunity, while everyone is listening, to promote young people and new entrants in agriculture and to look at how we all promote ourselves within the industry to make it a more attractive career prospect. The event also saw Young Farmers take part in an enthralling debate about whether intensive agriculture was still sustainable. Charlotte Johnston of Warwickshire FYFC and Chris Manley, vice Chair of NFYFC, were on opposing sides, but spoke passionately about the pros and cons of the practice. The majority of the house supported the notion that intensive agriculture was still a viable option in modern agriculture. One of the key points that Ed Ford took from the conference is that succession is extremely important for any young entrants into agriculture and that those who purchase farms out-perform those who inherit. Rosie Carne, Almoner and Liveryman at the Worshipful Company of Farmers, commented: "Lynsey and Ed were a real credit to the organisation with their active participation during Q&A sessions and interaction with other delegates. They are outstanding role models for young people coming in to the farming industry”. NFYFC has teamed up with Savills to provide Succession workshops for its members and their families. The next workshop will be held in Oswestry, Shropshire on 19th March. For more information, please visit: http://www.nfyfc.org.uk/successionevent.